Do you want to add an online store to your existing site? Or are you planning to develop one from scratch? 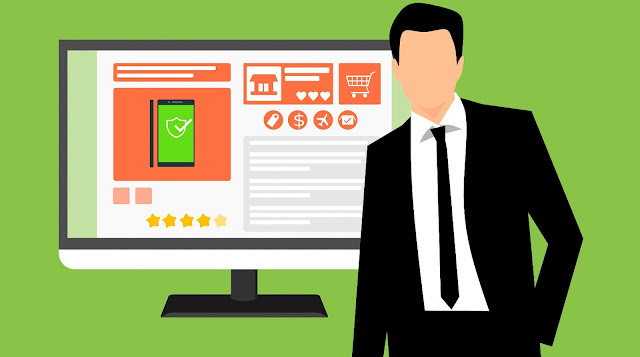 If yes, then using some of the best e-commerce CMS themes is a fantastic way to attract new users and gain more revenue. Most start-ups and small businesses use this tactic to increase their customer base. There are distinct advantages of incorporating e-commerce features to your site. Without spending an excess amount, you can promote your business online, beyond your local setting. As every year pass, the digital competition reaches a new peak. We are in 2018, and today customers are cyber-savvy. They are no longer impressed with just a simple looking e-commerce site. That doesn’t mean you should clutter your website with irrelevant data. It suggests that your website need to focus on something unique. Customers want to marvel at your site first and then engage in a buying transaction. Want to make a difference with your e-commerce website? Select from these custom themes from multiple CMS like WordPress, Magento and more. Cosi will impress you with its varied and chic patterns. If you love WooCommerce, you’ll love this theme too. Designed with new age, open design Cosi has impressive typography. You can avail it on Evanto Elements. It also has sophisticated and bold visuals. To know more about this theme and its implementation, you can reach out for an ace ecommerce Website Development service provider near you. iOne is a classy, minimalistic theme. iOne comes equipped with over 12 specific demos. You have umpteen choices in layout patterns such as AJAX cart, Flexslider, Instagram integration, wish-list option, layered navigation-jump, auto-complete search, quick view pop-up and many more. Browse and check out for yourself. If you have something “out of the box” to offer in your e-commerce website, then join hands with Outlaw. It’s a stylish WooCommerce theme. The theme has a hipster element to it and comes with features like the Revolution Premium Slider, Advanced Premium Product Filter and also a Visual Composer. You will be in love with the customization choices. Furthermore, with just a click you can install demo data. Journal impresses you with over 2000 options that are editable! It offers you complete control of your e-commerce store. The theme is versatile. It is apt for adapting to complex and simple stores, based on the user requirements. The Journal theme also comprises of limitless color choices. You can also make changes to existing skins and save it. A responsive Magento template, Porto comes with 18 various homepage patterns. It also features a full-width layout design. Hence, you can showcase all your products in a mix of grid column size. There’s an option for parallax backgrounds and also product slideshows. The other exciting features comprise of color choices, multiple header categories, and incorporation with Google Fonts. The theme provides product pages that include custom design blocks, more than 300 customization choices in the admin section and product variations. Import a sample data in Porto, and this will make your e-commerce site up and running fast. The Ella theme comes with huge banners that can highlight your prominent products. It grabs the attention of online visitors and your target customers. Ella also has a specified category module that showcases all filterable products. It also integrates with Google Fonts, customizes icon and links for social media and offers endless style and color choices. Furthermore, this module also showcases payment choices, backs up Google Rich Snippets and highlights product variations. There is a bonus too as Ella features a product slider and recently viewed product slider. It is instrumental in enhancing your conversation rates. This retina ready Shopify theme is responsive and has 12 various layouts. You can also enjoy other remarkable features like 7 header designs, 3 types of product pages, 8 types of listing pages and 6 types of footer layouts. There’s also a trending template design with multiple customization choices. Hence, if you want to win the competition by making your e-commerce site stand out from the rest, YourStore is the best choice for you. This theme is SEO optimized and supports RTL languages. Every day the online world witnesses the entry of a new e-commerce website! The competition is enormous and acute. Every e-commerce brand is going all out to showcase the best website design that’s distinctive, user-friendly and easy to navigate. Do you want to make your e-commerce website gain maximum attention, brand recall and eventually make great profits? If yes, then choose from these stellar CMS e-commerce themes and see the difference.